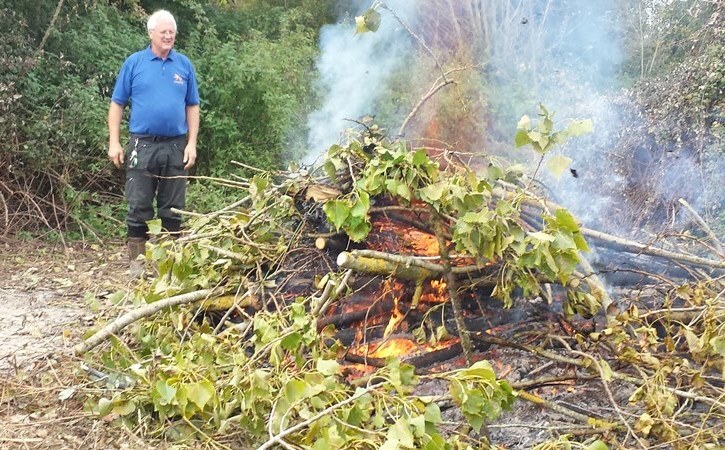 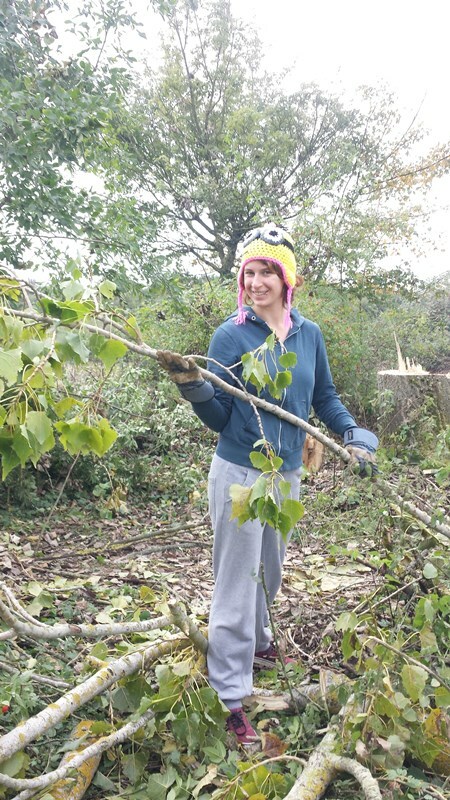 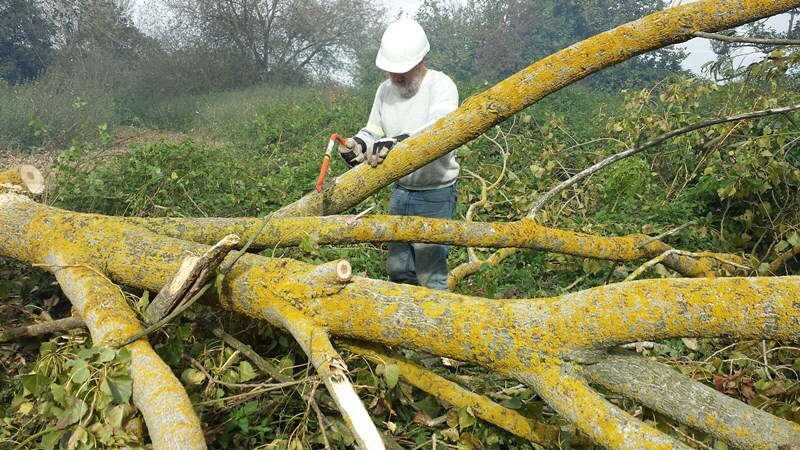 We joined the site's own volunteers working in the conservation area behind Lavell's Lake where we were to clear some previously felled trees burning the smaller material and retaining the larger branches for logs to be used as fuel for Dinton's wood burner. 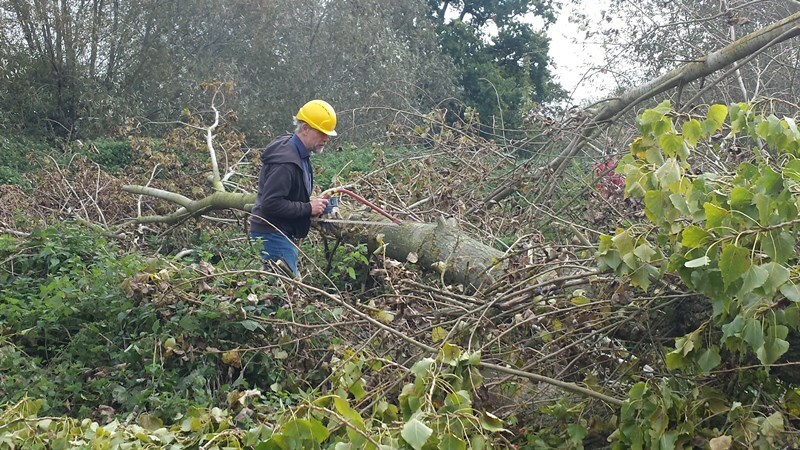 The trees had been felled as part of a plan to regenerate the area and increase biodiversity. 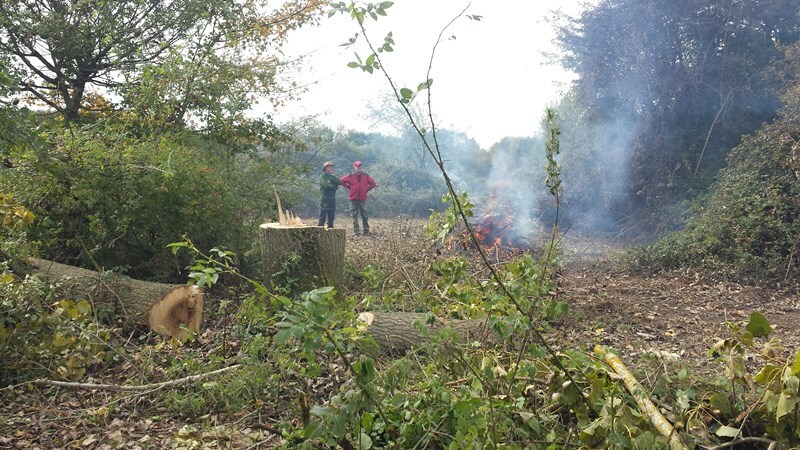 Much as we might like to claim that we had sawn up these logs using bowsaws, all credit goes to Hoyte (who once volunteered with CROW and now works at Dinton Pastures) and his chain saw.